Finalists in the Third International Festival of Classical Music and Competition for Young Pianists wave goodbye to nuclear weapons from Astana (Kazakhstan), where the festival is being held. 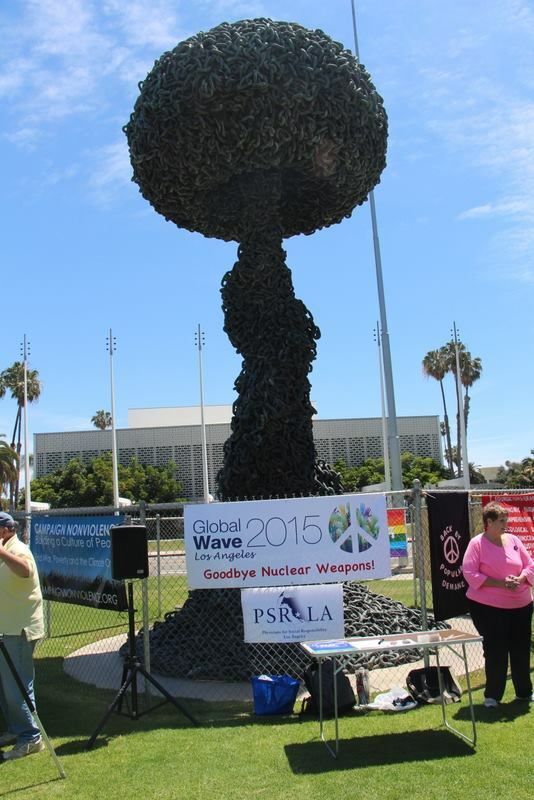 PSR-LA joined the global wave goodbye to nuclear weapons today from Chain Reaction in Santa Monica. 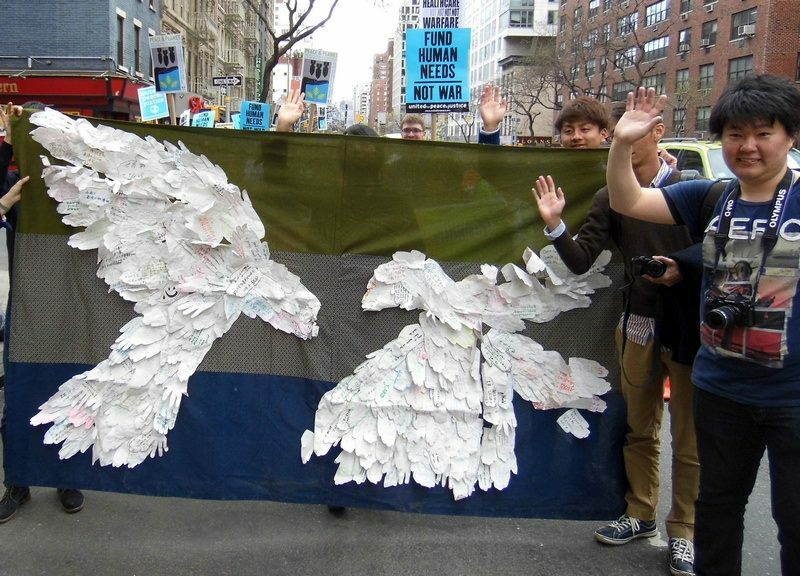 Ours was one of over 80 events in 50 countries proceeding time by time zone leading up to the NPT review conference in New York where advocates will push for a nuclear weapons ban treaty. 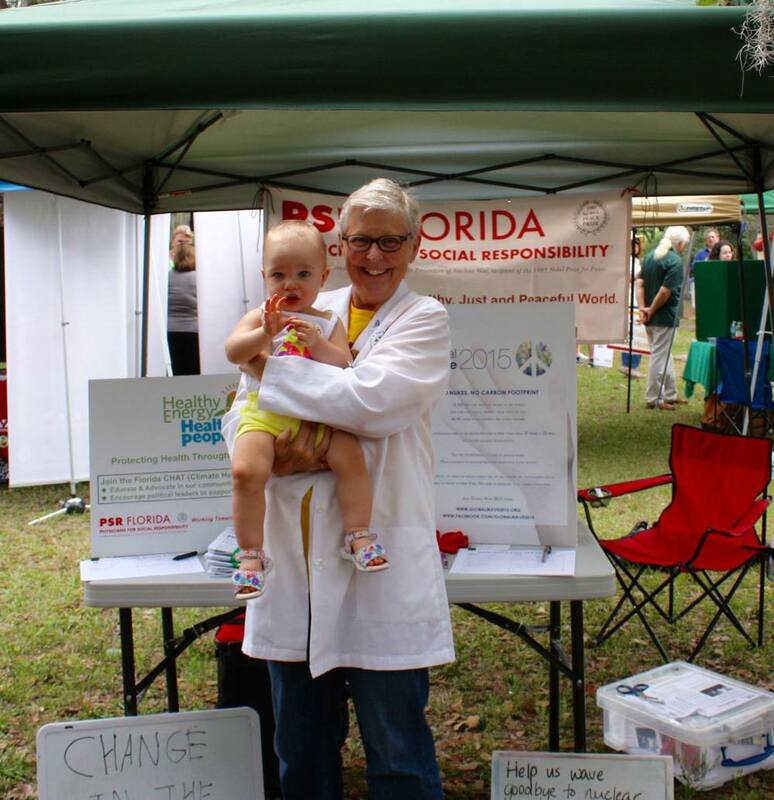 It can be done! 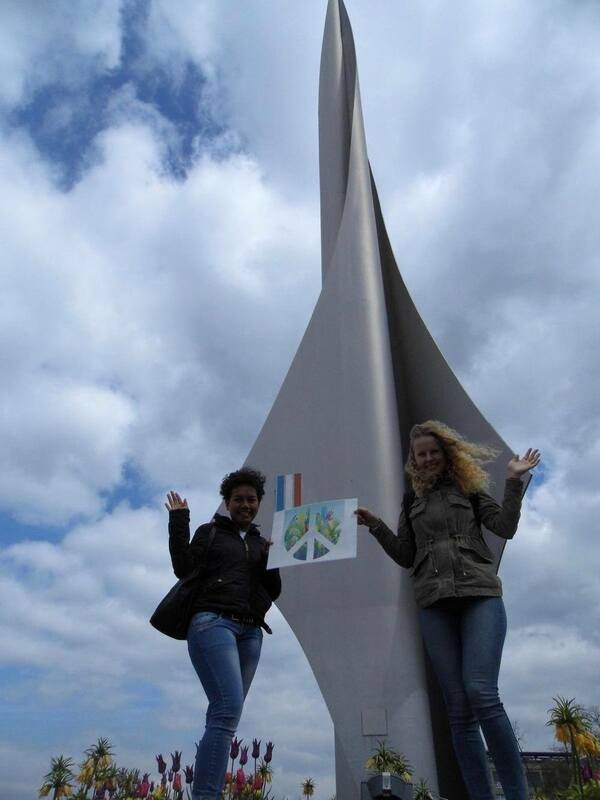 the peace-group in Zaandam (the Netherlands) waved goodby to the nukes! de vredesgroep in Zaandam wuifde de kernwapens weg! Rain didn't stop the Guam Global Wave 2015 from taking place at 1:00pm, Chamorro Standard Time, on April 27, 2015. We just moved it under the cover of the buildings. 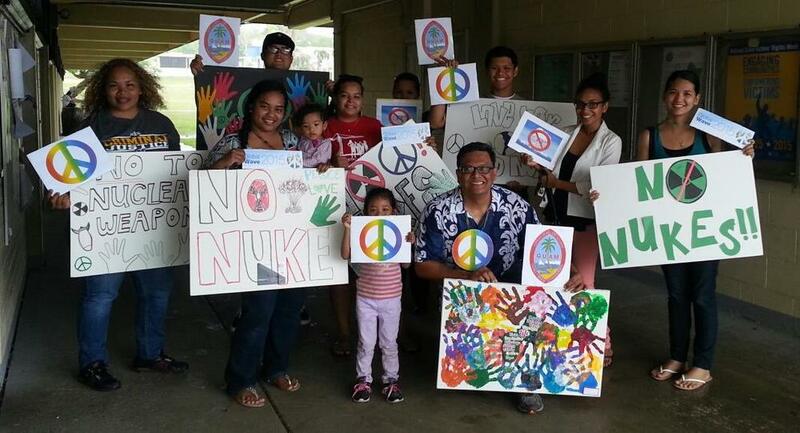 Biba Guam for peace and waving goodbye to nuclear weapons! 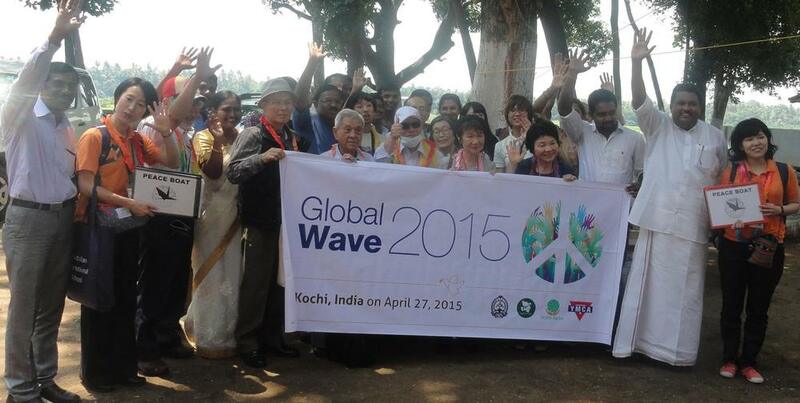 Global Wave 2015 at the peace monument marking the corner of France, Germany and Switzerland — at Dreilaendereck, Basel. Calder Valley wave goodbye to Nukes from Hebden Bridge, UK. 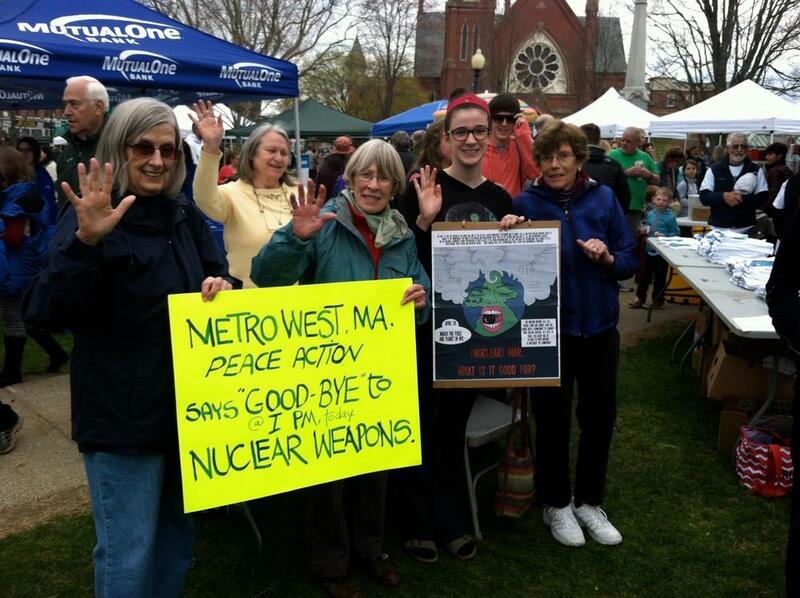 In Massachusetts, Metrowest Peace Action and friends waves goodbye to nuclear weapons at the Natick Earth Day Festival. 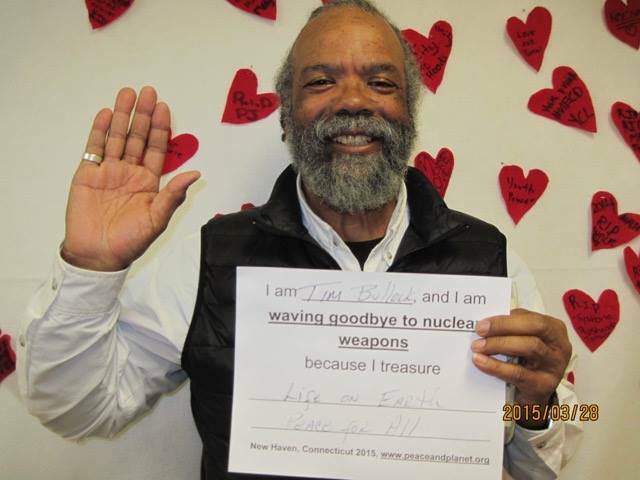 Rocky Flats Idaho - part of the US nuclear weapons system waving goodbye to nuclear weapons! 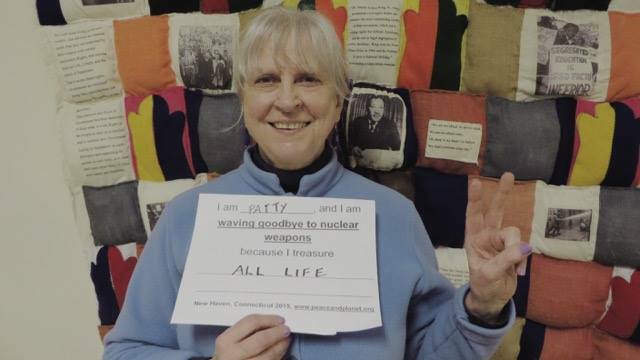 Members of The Peace Farm in Amarillo, Tx waved good-bye today to nuclear weapons outside of the Pantex nuclear weapons plant near Amarillo. 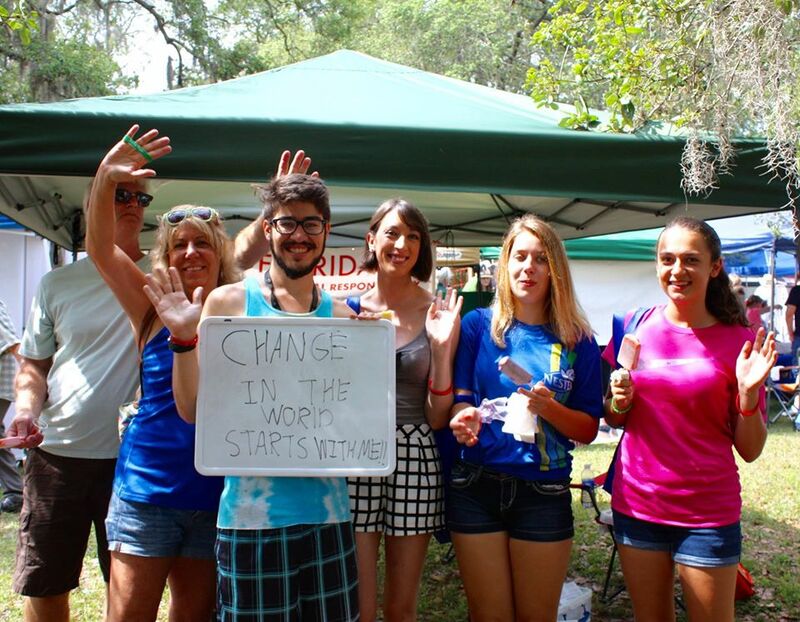 Global Wave from Orlando, Florida. Paula Gutlove and Gordon Thompson, of "Massachusetts Peace Action" wave goodbye to Nukes on the island of Martha's Vineyard, Massachusetts. 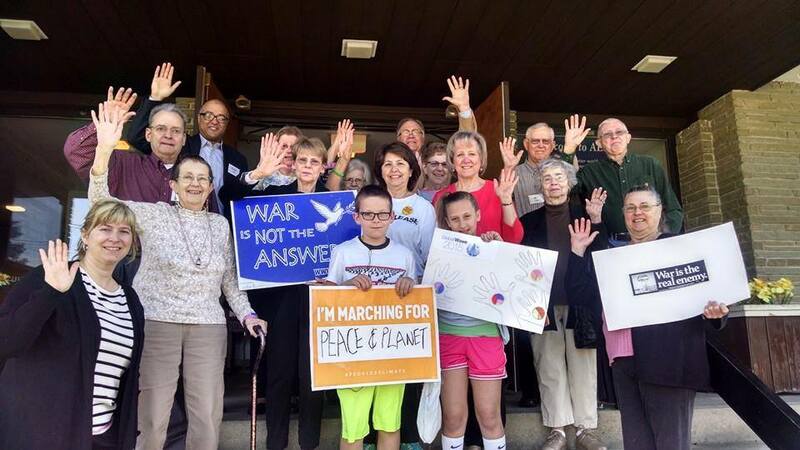 Sparta United Methodist Church, Sparta, NJ, USA, blesses and sends off Peace Marchers! 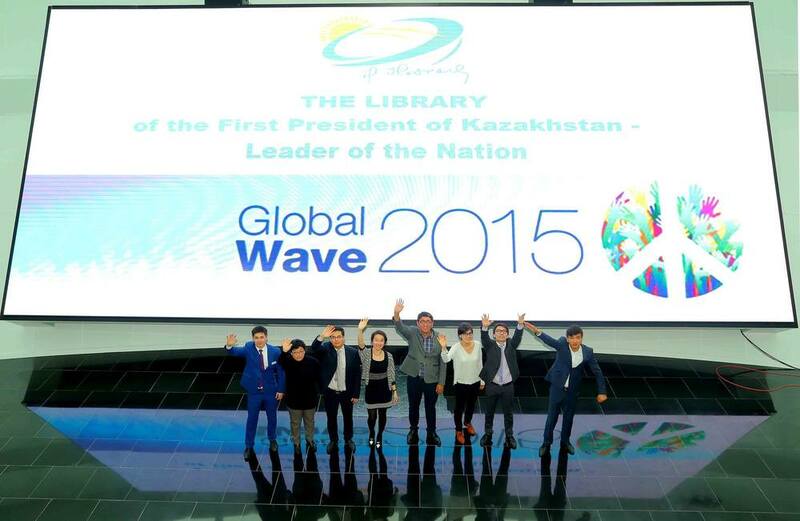 Collebeato (BS) si aggiunge alla campagna Global Wave 2015. Che belle foto che ci ha mandato il Sindaco Antonio Trebeschi. Grazie! 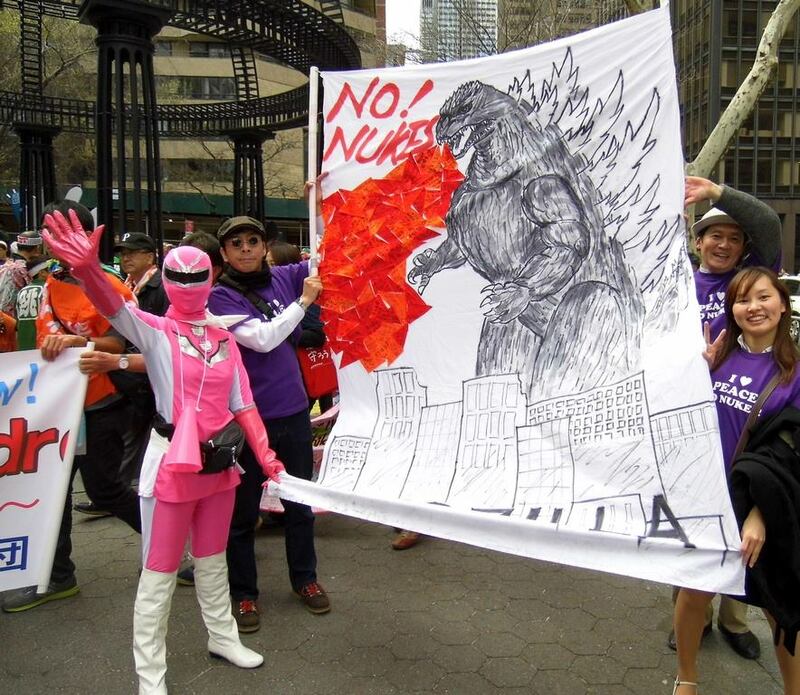 Il nostro ADDIO, per sempre, alle armi nucleari sta davvero raggiungendo il mondo intero. Сегодня утром в Астане (Казахстан) прошла акция Global Wave. 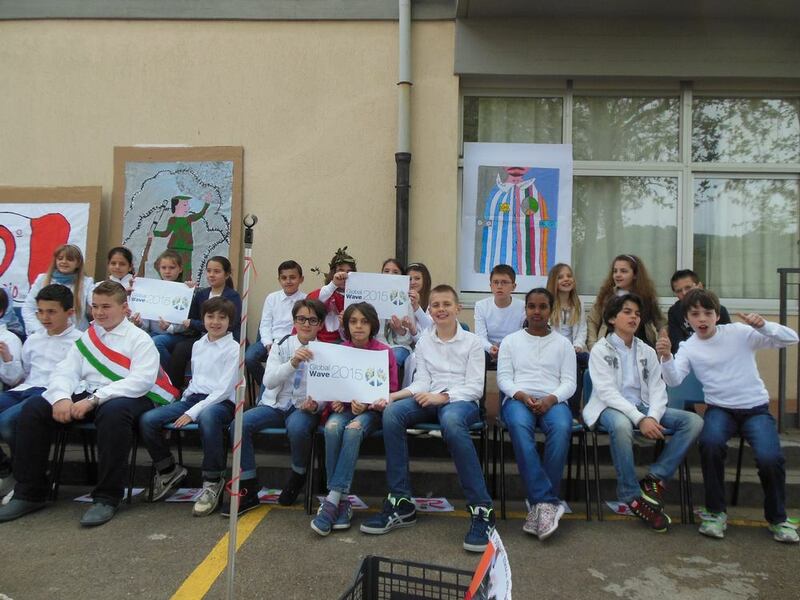 During the ceremonies for the 70th anniversary of Liberation Day, Italian Mayors and their communities took part in the Global Wave 2015 in the town of Bagno a Ripoli, near Florence. The two Mayors, senior and junior, are wearing the sash. During the ceremonies for the 70th anniversary of Liberation Day, Italian Mayors and their communities took part in the Global Wave 2015. 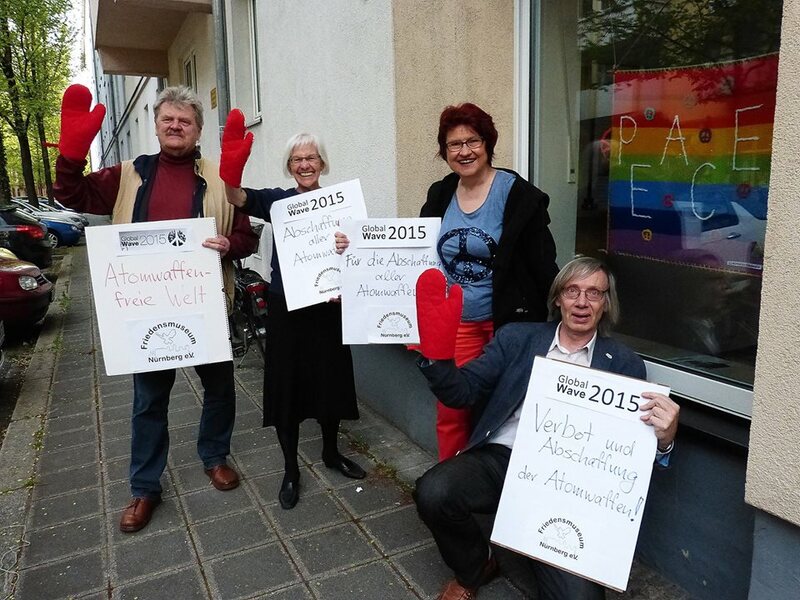 They want to be part of the global campaign to Abolish nuclear weapons. And so do the members of the Children's City Council of the town of Bagno a Ripoli, near Florence. The two Mayors, senior and junior, are wearing the sash. 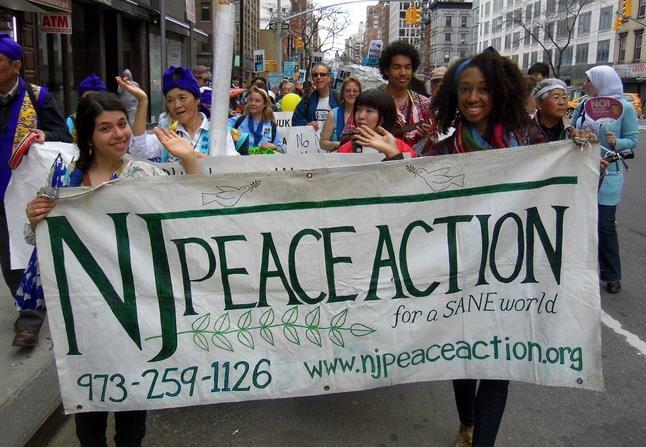 Peace& Planet Rally participants wave goodbye to nuclear weapons, Manhattan, NY. 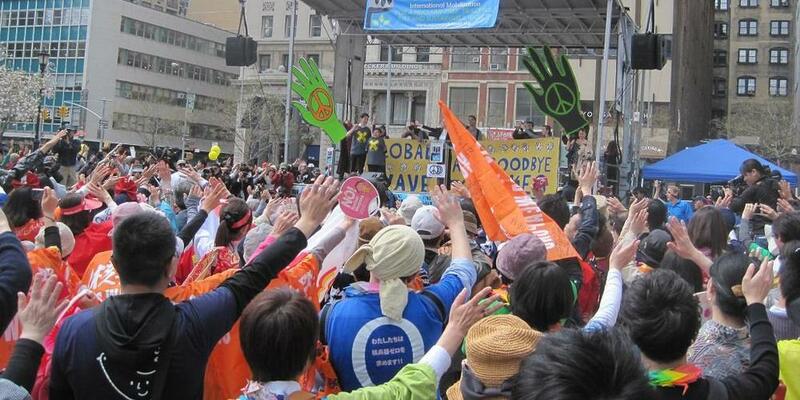 Final Global Wave in front of the United Nations headquarters in New York. 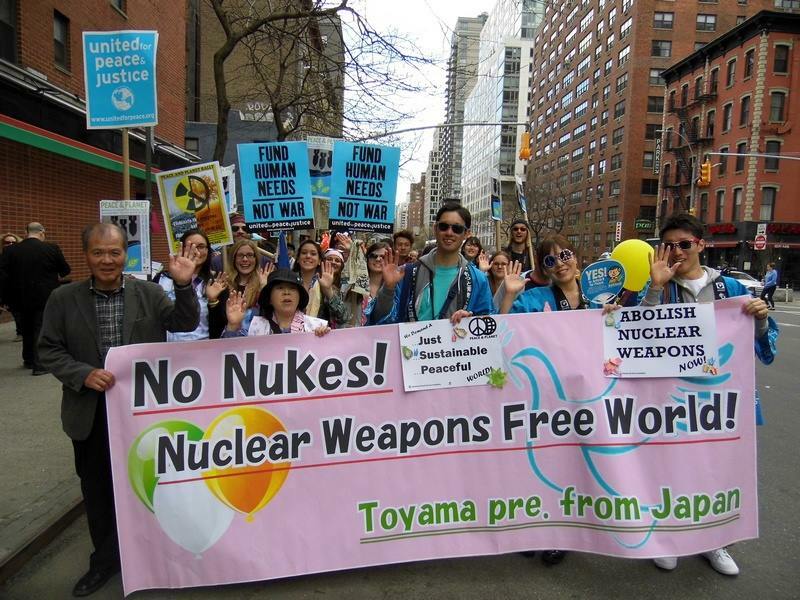 Global Wave in the Tillman Chapel of the Church Centre at the United Nations in New York during the Interfaith Convocation for Nuclear Weapons Abolition. 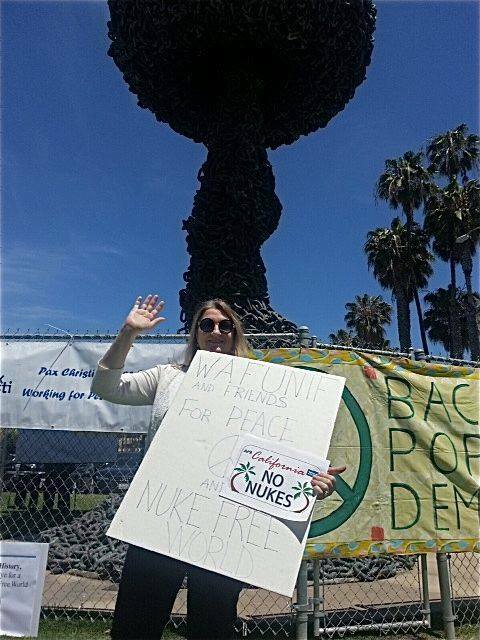 Michele Morris, Director-At-Large of WAFUNIF - The World Association of Former UN Internes and Fellows, waves goodbye to nuclear weapons at the Santa Monica, CA Peace Rally. 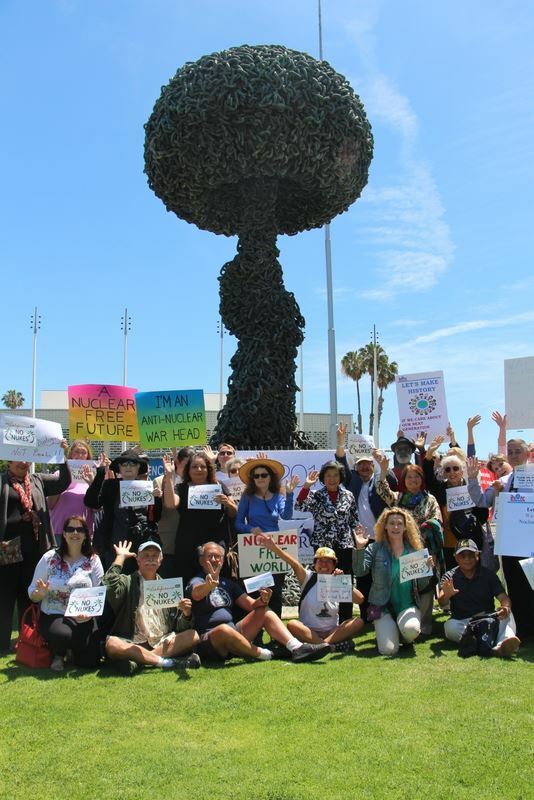 Joan Collins, Pacific LA Co-President of UNA-USA, waves goodbye to nuclear weapons at the Santa Monica Peace Rally. 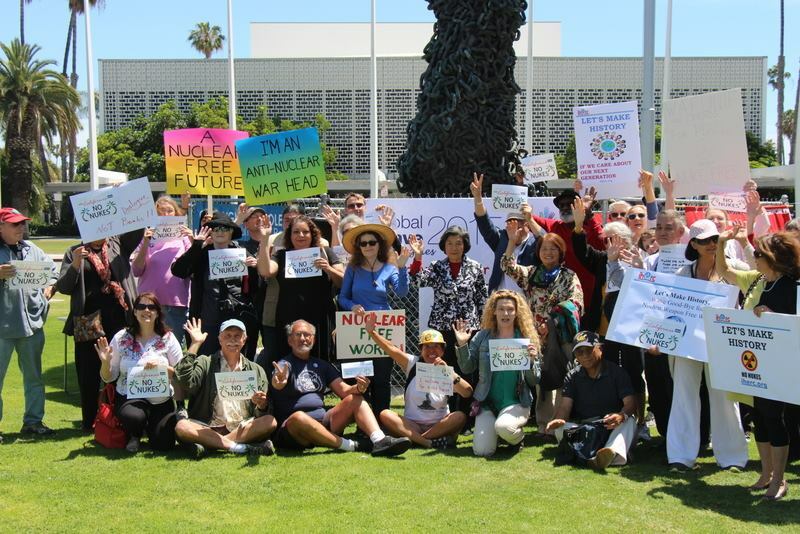 Destiny Puzzanghera of UNA-USA Beverly Hills, CA Chapter and friends wave goodbye to nuclear weapons. 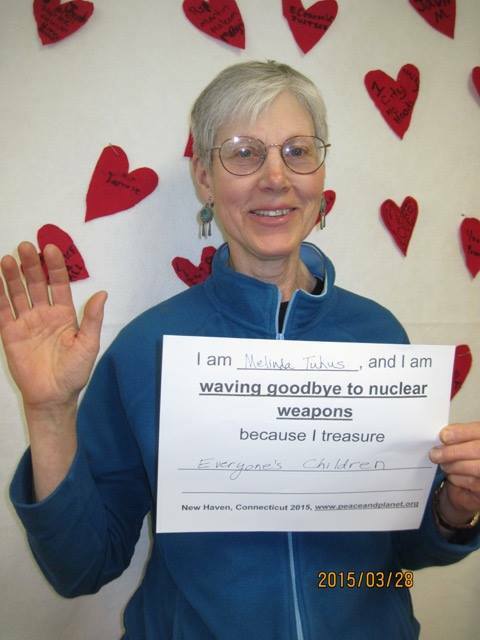 Peace activists in Newburyport waved goodbye to ‪#‎nuclear‬ weapons. 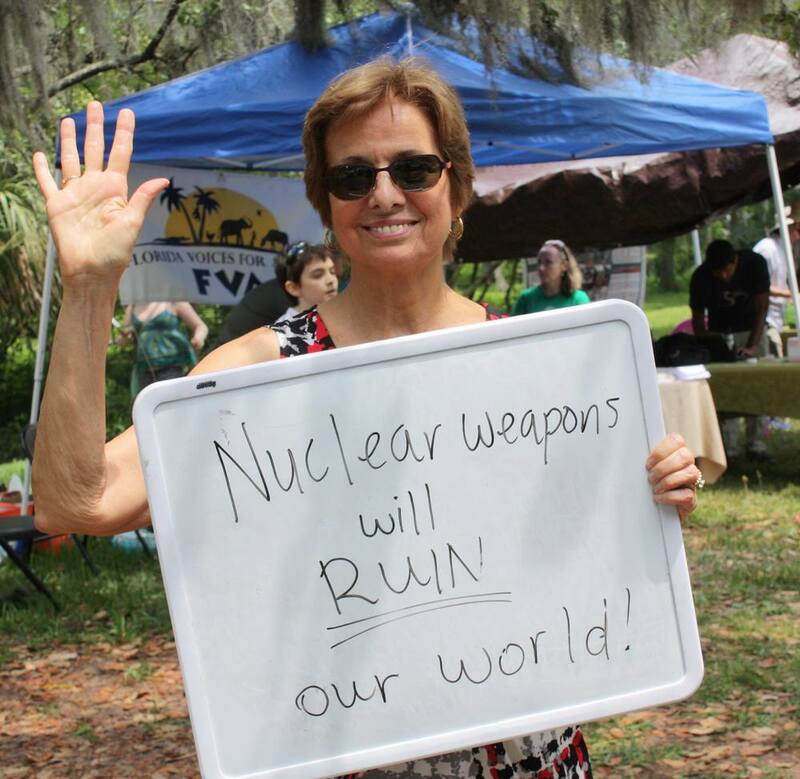 Goodbye to Nuclear Weapons from Metrowest Peace Action! 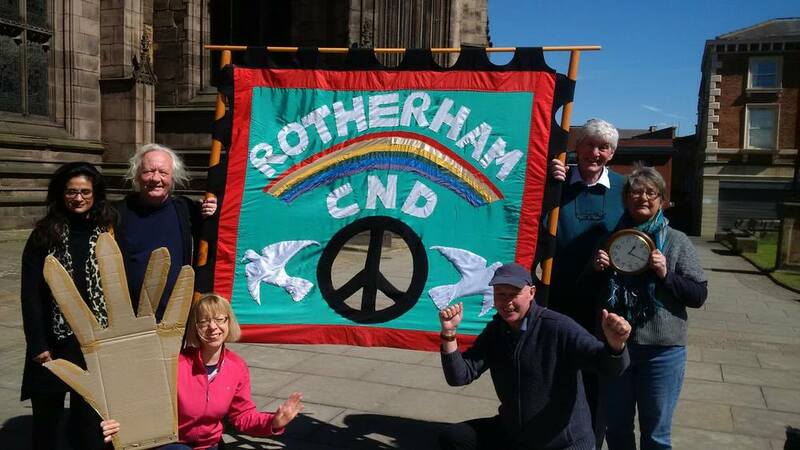 Rotherham CND waving goodbye to Nukes today at 1.20pm UK time. 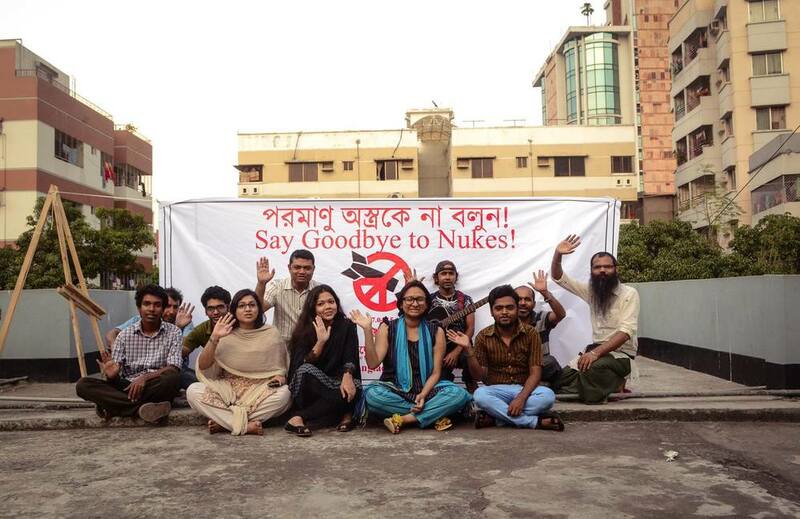 Center for Bangladesh Studies Waved Goodbye from their office roof in informal way along with human rights activist, women and gender activist, youth activist, green and cultural activist, artist and singers joining the symbolic event. 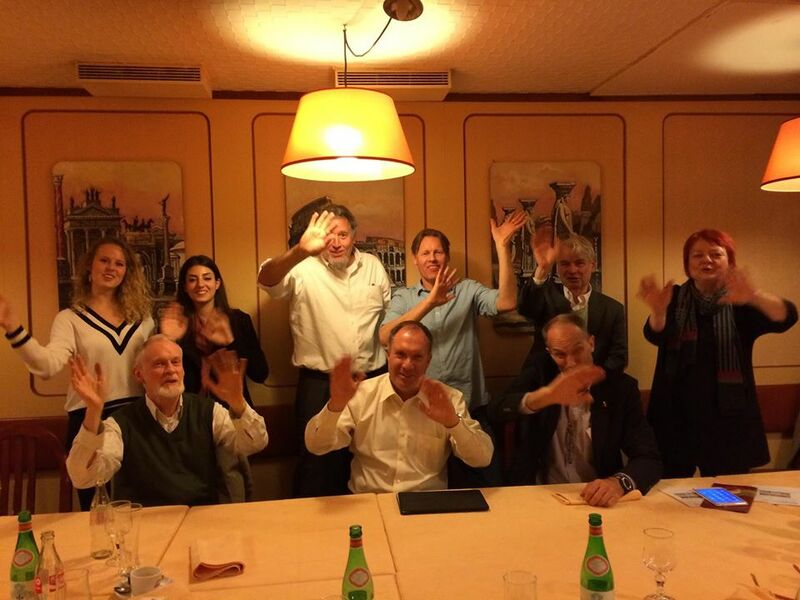 Amnesty Group 40 (Geneva)waved Goodbye to nuclear weapons. 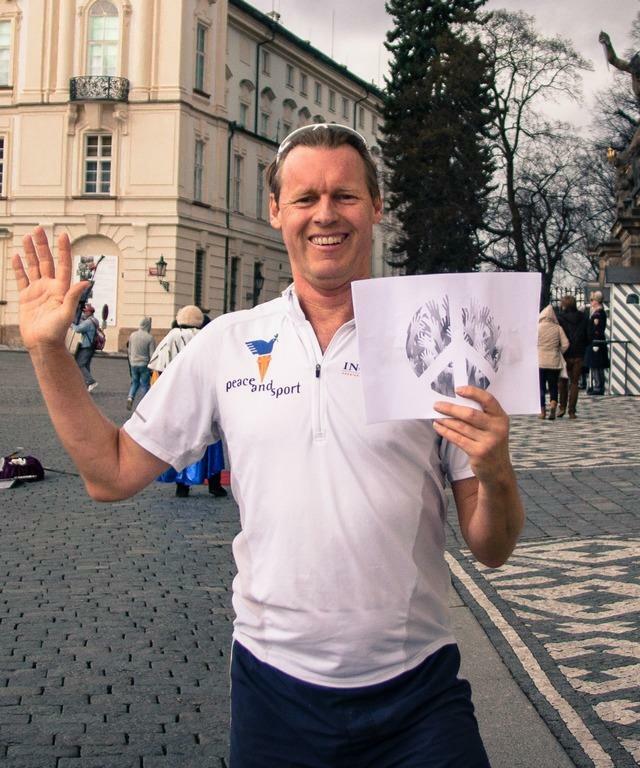 Alyn Ware ran the Prague Castle steps 9 times (1800 steps) to commemorate Peace and Sport Day, and the anniversary of President Obama's famous peace and disarmament speech at the Prague Castle. 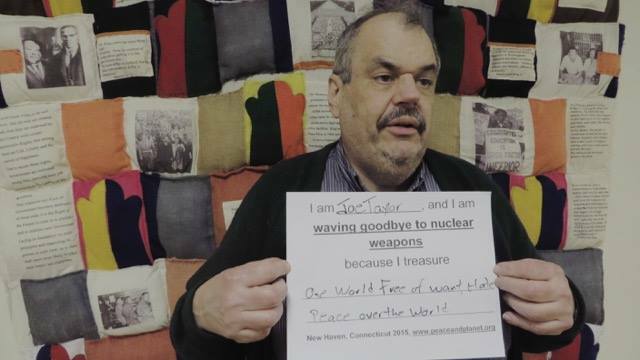 Alyn waves goodbye to nuclear weapons with the white card of peace. 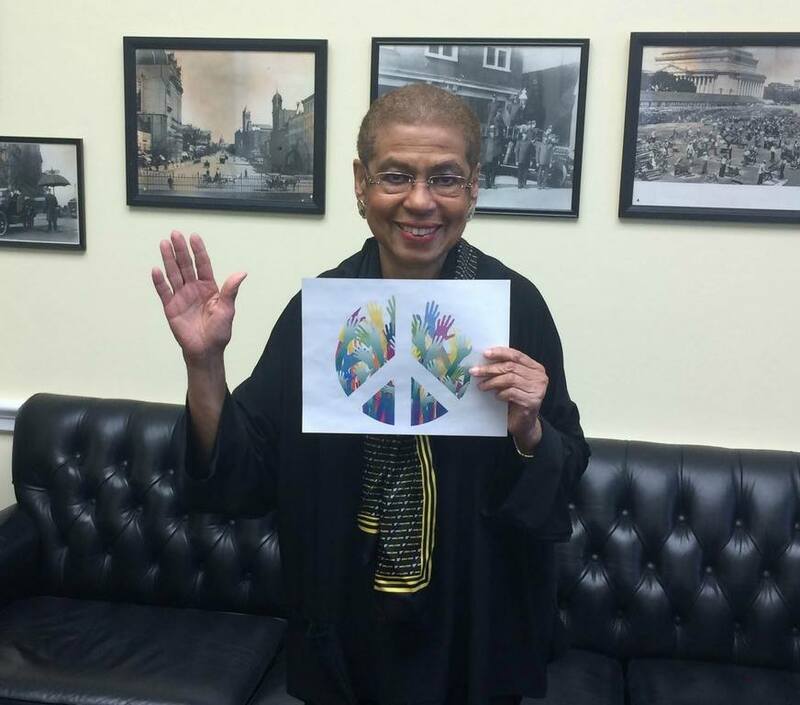 Muna Fuad Makhamreh from Jordan, Amman waves goodbye to nuclear weapons! 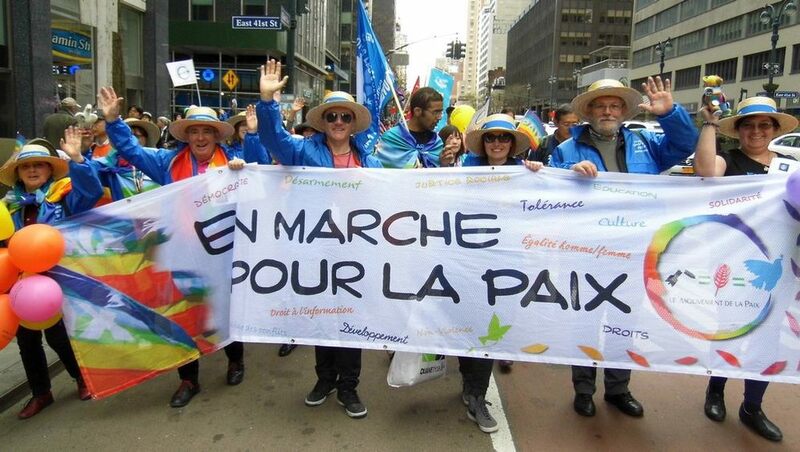 On April 11, World Friendship Centre celebrated 50th anniversary. 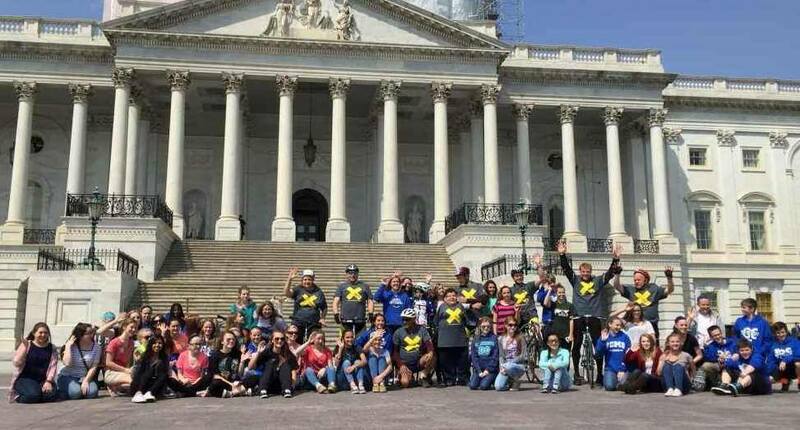 Horie Soh, one of the child-survivors in the "I was her age" Project, is a long-time member of WFC, so they honored him at the event with a big "Bon Voyage!" on the 11th of April, the day before his departure. 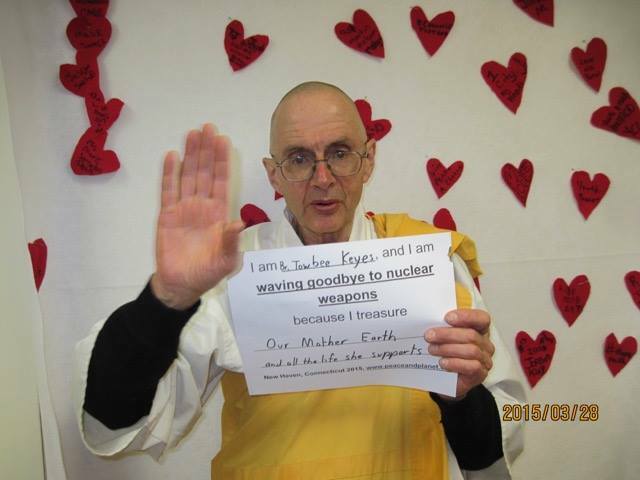 At my urging and with Steve Leepers support, they also did a "Goodbye, Nukes!" 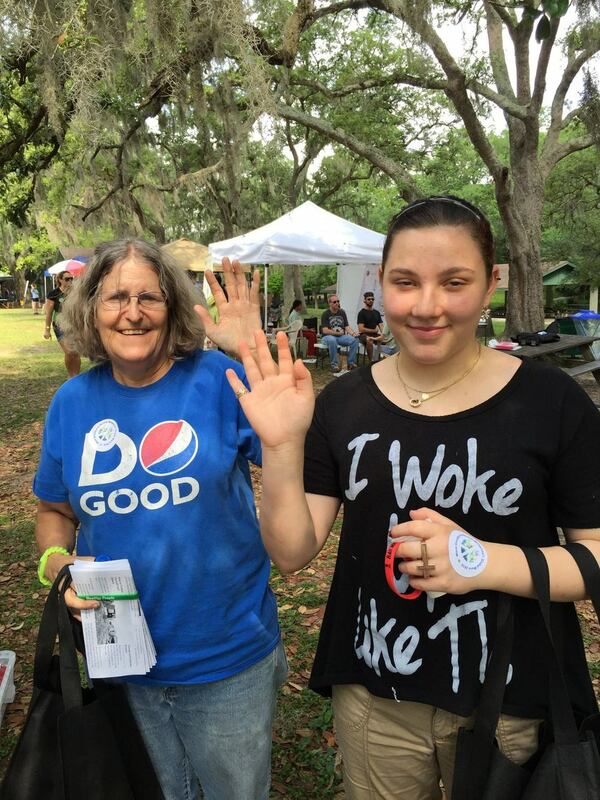 wave! 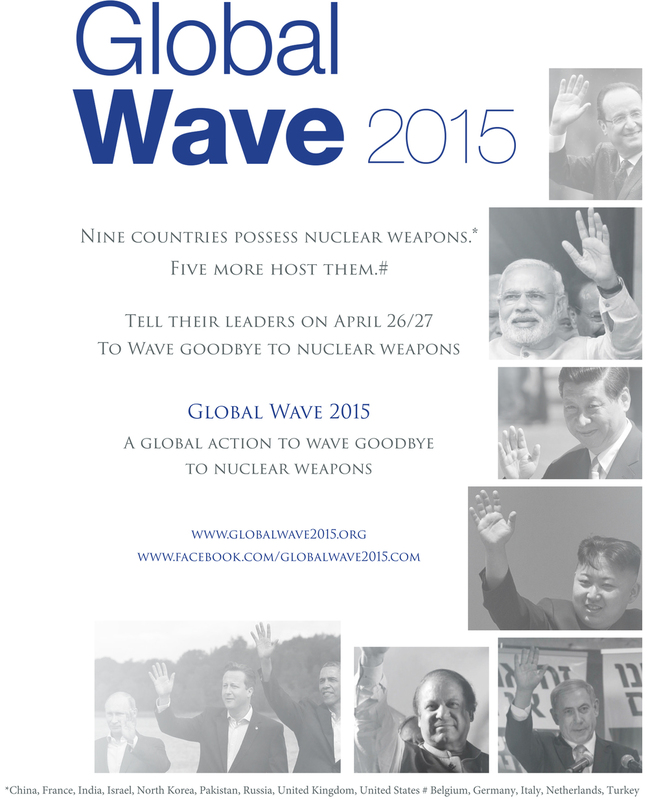 Wave goodbye to nuclear weapons in front of the United Nations by the broken chair sculpture in Geneva! 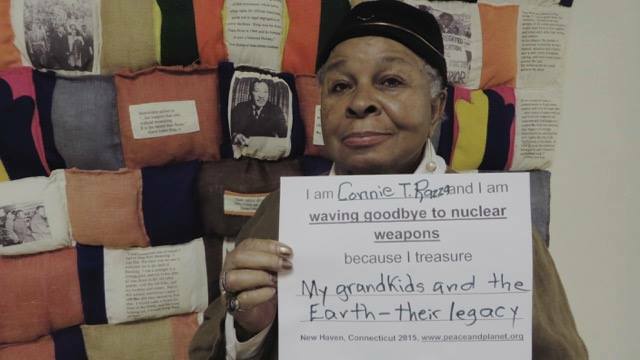 Wave goodbye to nuclear weapons from Earthsong community, Ranui, New Zealand. 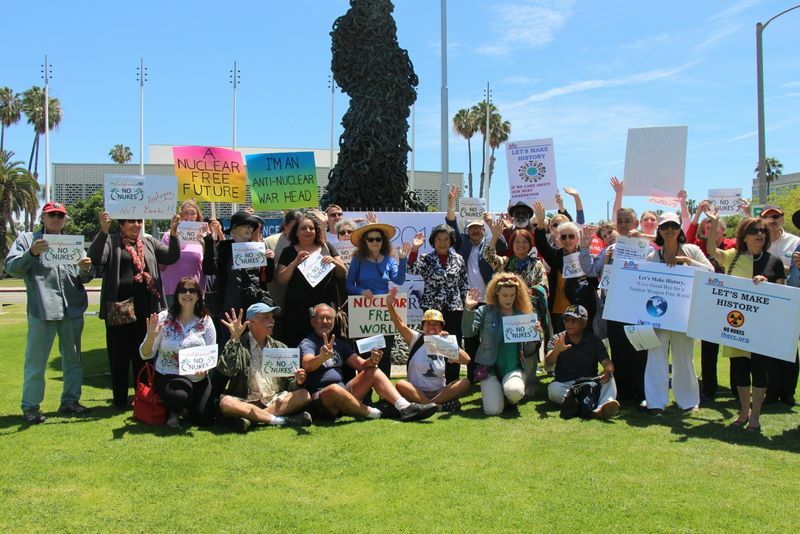 Global Wave and peace celebration at the 'Handspan Peace Memorial' in Whanganui, New Zealand. 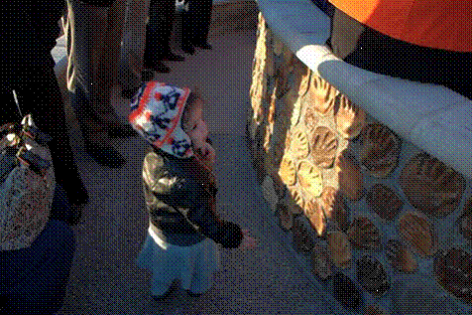 Children's handprints and waves as a reminder of the importance of peace for future generations. Students of I.K. Akhunbaev Kyrgyz State Medical Academy Wave Goodbye to Nuclear Weapons! 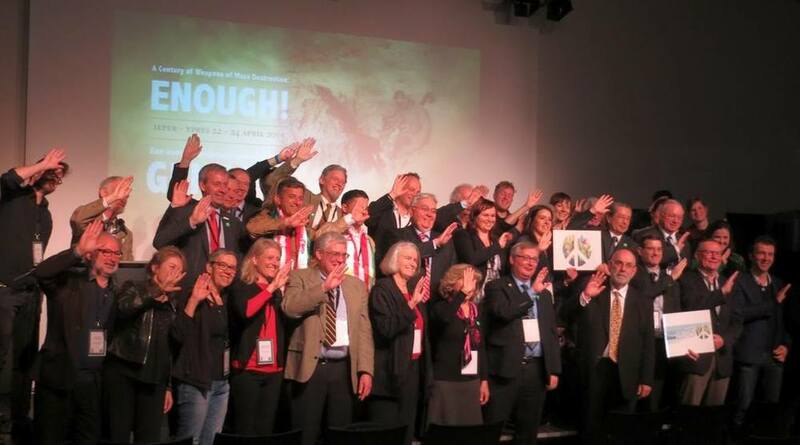 On Earth Day (April 22) Members of the European Parliament Section of Parliamentarians for Nuclear Non-proliferation and Disarmament 'waved goodbye to nuclear weapons'. Prof. (Dr.) B. P. Singh Sehgal, Director, Amity Law School, Delhi. 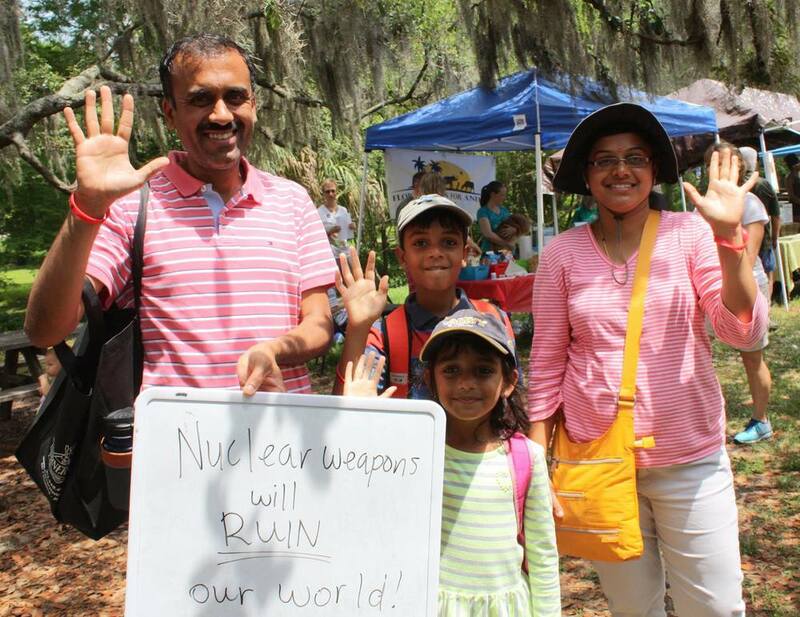 On the right: Prof. (Dr.) M. K. Balachandran, a professor of eminence and chair of Law, amity law school, Delhi waving goodbye to nuclear weapons! Students of 4th Year, Amity Law School, Delhi waving goodbye to nuclear weapons! 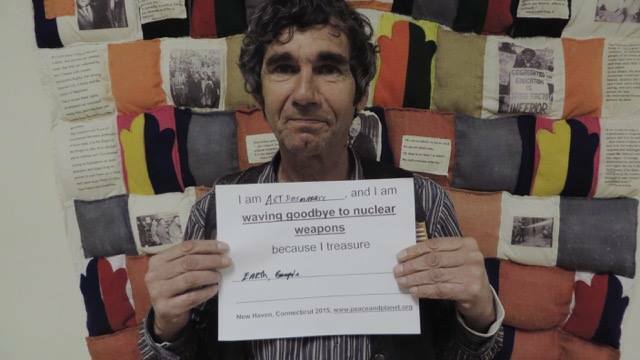 Asian Human Rights Commission 'waved goodbye to nuclear weapons' and filmed this great and yet creative movie!